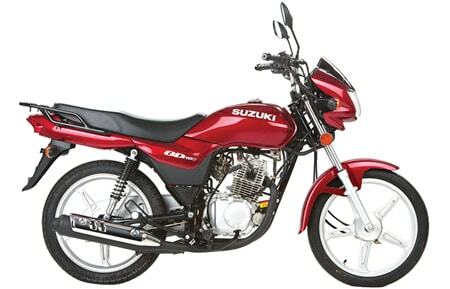 The Suzuki GD 110S is a comfortable, durable bike with EURO 2 technology. This bike has a digital speedometer and its sporty design gives a stylish look. This beautiful bike has a 110cc air-cooled 4 stroke engine and its compression ratio is 9.5:1. 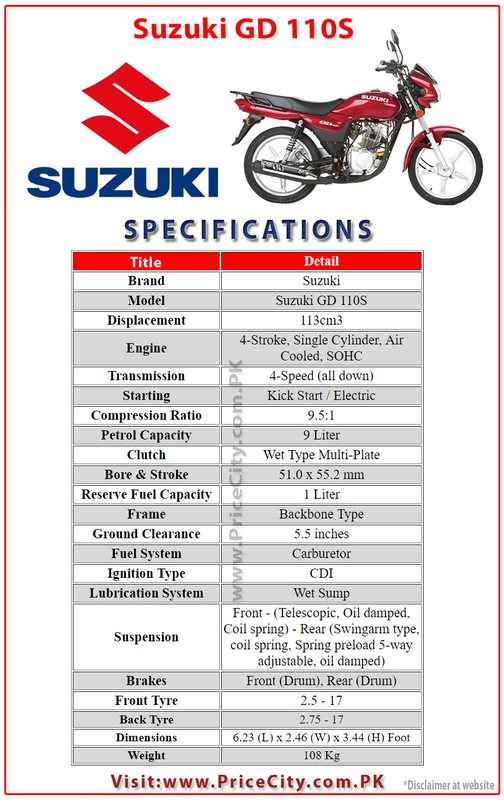 This bike has a road clearance of 140mm with the best road grip. Different banks offer the bike in an installment plan. You just need to contact the helpline of your bank. The capacity of GD 110S fuel tank is 9 liter. This bike has the black-chrome plated muffler and colored fenders. Its stair type design seat is very comfortable in long rides. Its spare parts are available all over Pakistan. You will get the user manual with the bike. This durable and comfortable to drive bike mileage is 55 km per liter. Its petrol average is best according to its performance if we compare to other brands of the motorcycle. This motorcycle model is available in three colors: black, red, and grey. This bike has an average resale value in Pakistan. GD 110S price in Pakistan is 155,000 and available all over Pakistan from different dealers. 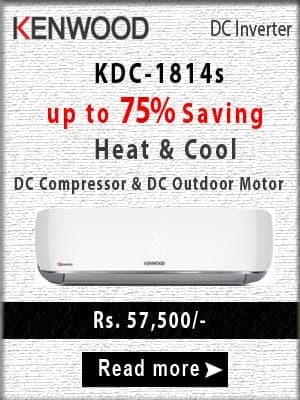 Please visit this link for the dealers all around Pakistan. Disclaimer: Dear visitors, We tried our best, but we cannot guarantee that the Price & other info. of products on this page is 100% correct (Human error is possible). For correct Specs & Price always visit the nearest local shop. We (PriceCity.com.PK) does not sell any product. We only provide specifications, features, and price in Pakistan of different products from different stores around Pakistan. If you found any mistake, then please comment below or contact us.